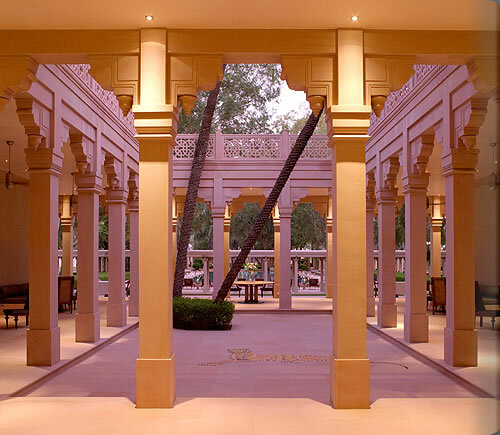 If Mughals were to create a modern day palace in Jaipur, chances are it would look like Amanbagh. Its marvel lies in how unassumingly it celebrates palatial luxury. 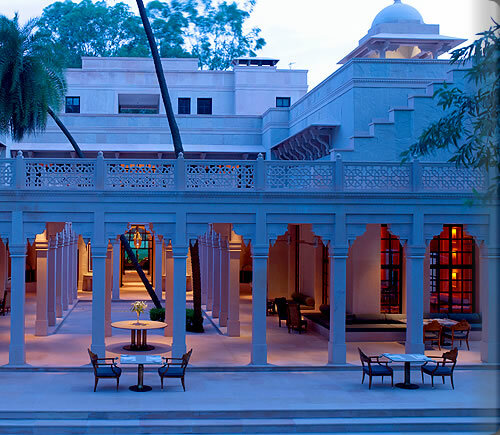 Rose tinted marble and walls, high ceilings, domed cupolas, graceful columns and shaded courtyards soak you in a bubble of tranquility right away. Lined with palm and eucalyptus trees, the property’s architecture and design are an ode to the royal past. Well, Aman means ‘peace’ and Bagh means ‘garden’. Amanbagh is no less than that if not more. 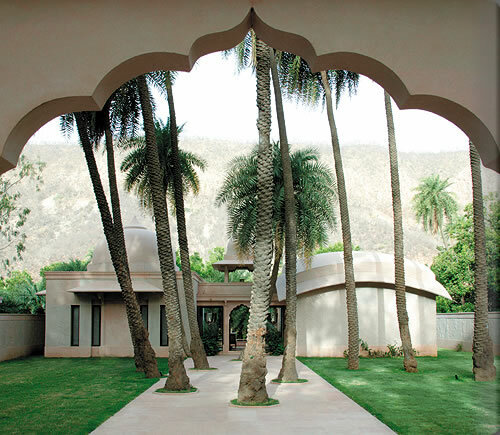 Located as a quite retreat in Alwar which is enroute from Delhi to Jaipur. 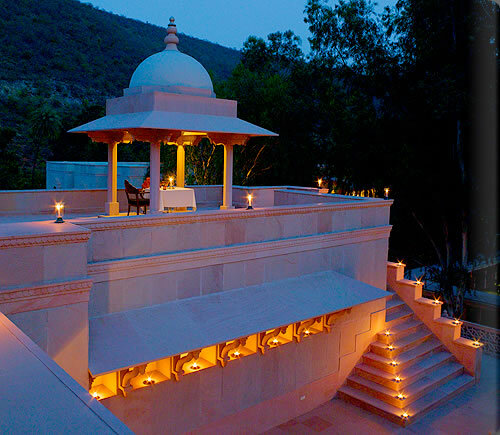 Aman Resorts have been well-known for their luxury services and invigorating spa sessions. Amanbagh is no exception. Irrespective of which suite you choose to stay, they all come with a large bathtub carved from green Udaipur marble, fitted with Bose sound systems and a personal bar. All 16 pool villas and 8 terrace haveli suites, 8 garden haveli suites and 8 courtyard haveli suites have been richly decorated in exquisite fineness and bear a dash of the bygone rich signature architecture. 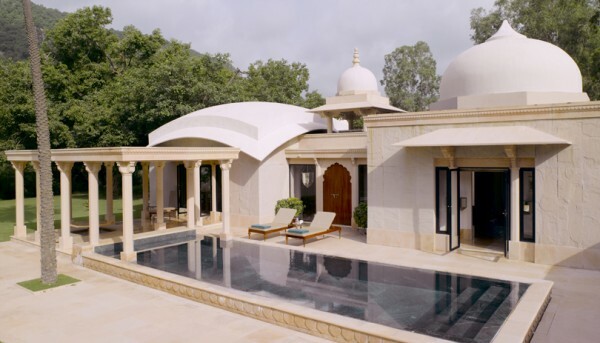 Boasting of all the modern facilities, the villas are comfortable and invoke a feeling of serenity. The library and a reading terrace are on the upper floor. 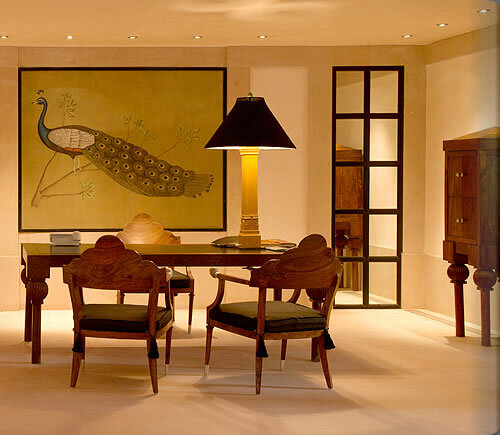 Not to forget the in-house boutique which is like Aladdin’s cave full of treasures from Jaipur and Rajasthan. 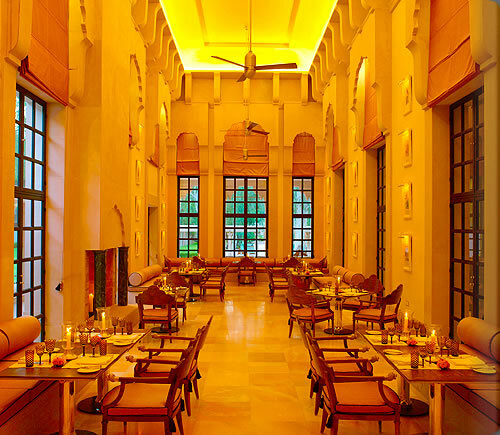 The effortlessly chic restaurant serves multi cuisine food with produce sourced from the hotel’s organic kitchen garden. Seating overflows to a terrace with spectacular view of lawns. A special mention must be given to the little ruin outside the hotel, a perfect spot for romantic dinner, which the hotel can arrange for. Take a few laps in their swimming pool centered within the resort gardens. Light meals and snacks and drinks are available poolside throughout the day. Leisure and laid back was never more seductive. Complete with a spa that features the best healing therapies from the world around, as well as facials, massages, scrubs and traditional henna art. The countryside surrounding the hotel reveals the ruins of an ancient empire. There are a myriad of ways to explore the breathtaking scenery, from camel cart, horseback and elephant to bicycle or jeep. You could go for safari, trekking, nature walks and boat rides. 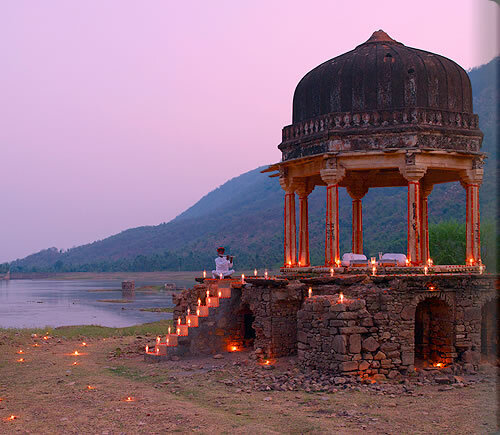 Fancy more; book yourself for a Yoga session at Bhangarh fort, the very eerie one you might have heard about as the haunted place! Or perhaps you could take a tour through unspoiled villages and experience local culture and ways of living. For guests, one can also plan a day visit to Jaipur for shopping and sightseeing combined with a sunset elephant safari on the way back to Amanbagh. The exotic location makes the resort a perfect venue for those looking for a wedding location rich in natural beauty and away from the humdrums of the city.